ChatSecure is a free and open source instant messaging client for iOS and Android that integrates encrypted OTR (“Off the Record”) messaging support from the libotr library and the XMPPFramework to handle Jabber/GTalk (XMPP). Go to the resources subsites AppStore.strings & Localizable.strings to add a new language or improve an existing translation. There’s a more full list of OTR clients on Wikipedia. Pidgin (cross-platform), with pidgin-otr plugin. You’ll need Cocoapods for most of our dependencies. Download the source code and don’t forget to pull down all of the submodules as well. Then set your own value for PROVISIONING_PROFILE_Debug in OTR_Codesigning.xcconfig to your iOS team provisioning profile identifier to run it on your device. You can get this identifier by temporarily selecting the desired profile in Xcode (Build Settings -> Provisiong Profile), then selecting “Other…”. 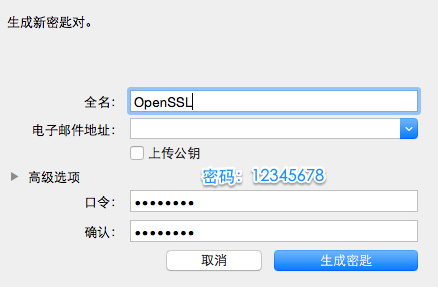 Open ChatSecure.xcworkspace in Xcode and build. Note: Don’t open the .xcodeproj because we use Cocoapods now! If you’re still having trouble compiling check out the Travis-CI build status and .travis.yml file. Thank you for your interest in contributing to ChatSecure! To avoid potential legal headaches and to allow distribution on Apple’s App Store please sign our CLA (Contributors License Agreement). For contributing translations, please check out our Transifex page. Sign the CLA (odt, pdf) and email it to chris@chatsecure.org. Fork the project and (preferably) work in a feature branch. Copyright (c) 2015, Chris Ballinger. All rights reserved. If you would like to relicense this code to distribute it on the App Store, please contact me at chris@chatsecure.org. YapDatabase - YapDatabase is a pretty awesome key/value/collection store built atop sqlite for iOS & Mac. For a more complete list, check the Podfile. Thank you to everyone who helped this project become a reality! This project is also supported by the fine folks from The Guardian Project and OpenITP. Nick Hum - awesome icon. Goxxy - Google Talk icon.